GE Appliances has added air frying and dehydrating capabilities to its Cafe and GE Profile lines of built-in wall ovens. The company says it’s the only manufacturer to incorporate both dehydrating and hot air frying into an oven, a move that capitalizes on the current popularity of air fryers. GE reports that four million stand-alone air fryers were sold over a recent 12 month period. 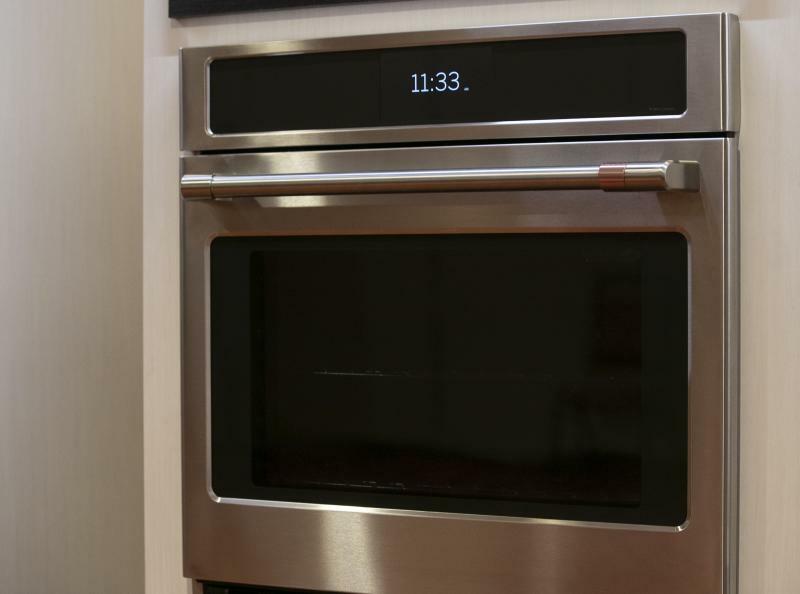 Both lines of ovens feature a 7-inch full-color LCD touch control and smart capabilities such as WiFi connectivity and scan-to-cook technology. The Cafe brand wall ovens include customizable finishes and hardware and are available in 27- and 30-inch single and double configurations. GE’s Profile 7000 Series of wall ovens offer Direct Air Convection for consistent results and zero-preheat settings for a variety of foods. They are available in 27- and 30-inch single and double configurations in stainless, black stainless, and black slate finishes. Both ovens will be available in April 2017.